Maurizio Sarri may very well end up being shown the door at Chelsea this summer due to the club’s internal politics, according to Gary Neville. The Italian coach’s bright start to life at Chelsea is well and truly over with even travelling supporters getting on his case following a humiliating 4-0 defeat at Bournemouth last week. Despite the Blues delivering a 5-0 win over Huddersfield Town last weekend, however, the pressure remains big for Sarri. The former Napoli boss has already confessed that he’s struggling to motivate the players and that the job at Stamford Bridge has been harder than he had imagined. 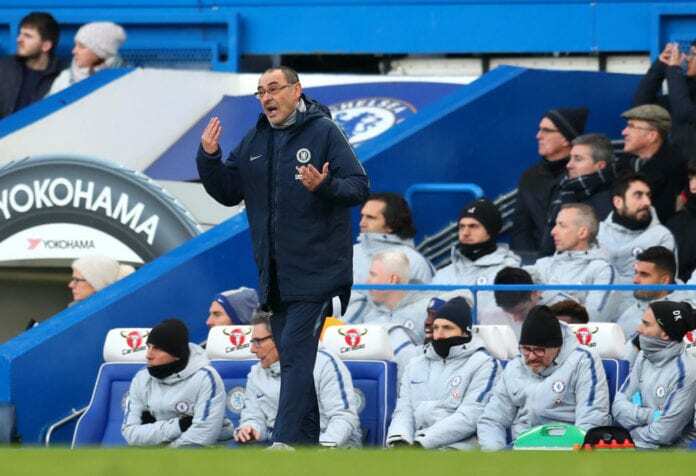 Now Neville has given his thoughts over the strange situation Sarri finds himself in and stated his belief that the 60-year-old will soon leave as a result of Chelsea’ internal politics. The former Manchester United captain believes Chelsea would be better off following the examples set by their rivals in regards to managers. Neville added: “You think about managers having control, the final word at a football club like Jurgen Klopp, Mauricio Pochettino and Pep Guardiola do. “There are still some clubs that give managers control, but it’s less and less, and certainly not at Chelsea. The manager should have control of the changing room, he should be the voice of the club in terms of football. “Sarri knows there are politics behind the scenes, there always has been, but it’s been a very successful club being like that. 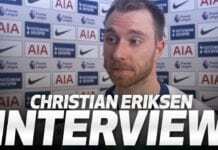 “We’ve welcomed it over last 10-15 years, they’ve been a great addition to the top of the Premier League. It’s a better Premier League for having this challenge from the new-money teams like Chelsea and City to challenge the likes of Manchester United, Arsenal, Liverpool. “It’s a better Premier League but it’s a very different model, and I think Sarri is finding that out.